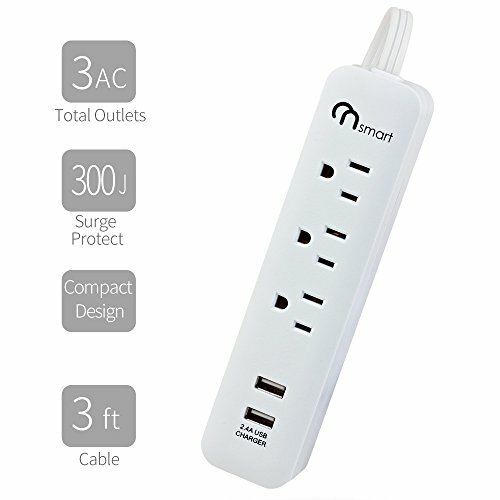 ●10 charging ports in total support you charge 10 devices simultaneously, good compatible with all electrical devices such as phones, tablets, computers, kindles, entertainment appliances. ●Smart IC technology enables each port to auto detect and self-adjust the current to speed charge your power hungry devices with a safe current. USB Output: 2.4A per port, 3.4A total. ●Built-in integrated circuit breaker , surge protector and over-load protection prevent your devices from spike, over-current, electric shocks, short-circuit, over voltage, overloading. ●Fire-resistant PC shell is able to withstand high temperature up to 750℃. 100% thicker copper wire can go through larger current without producing too much heat. ●Sliver contact switch is convenient for you to cut off all devices charging when you go out or not need to charge any appliance, saving more electric power for you. 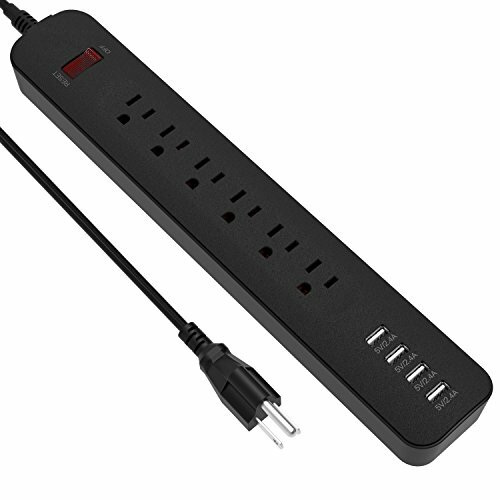 ●A 6-feet heavy-duty power cord allows you to keep the surge protector in an unobtrusive location while making sure it reaches your devices. ●2 mounting holes can hang the outlet on walls, baseboards, or furniture easily and horizontally, used as wall adapter and rubber feet can keep the power strip stable. ●24h*7d Customer Service, 30-DAY Money Back guarantee. ●13-Month after sale warranty and LIFETIME technical support. 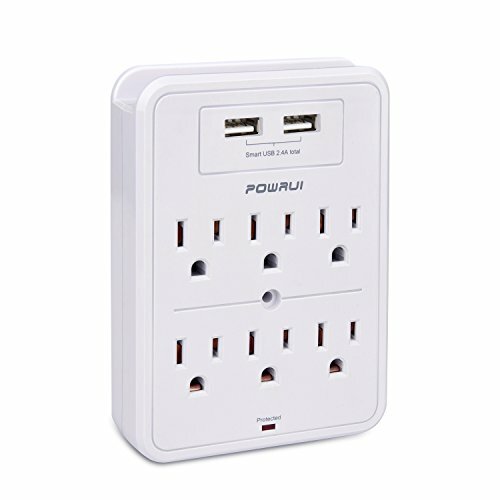 6 outlets with 4 USB ports power strip ideals for your home, office kitchen, or living room entertainment setup electrical appliances such as tablets, iPhone, PC, and more. 4 smart USB charging ports detect charging devices automatically and deliver charging speed up to 2.4A per port, 3A total. FCC and RoHS Certificated. Use fire-resistance PC shell, 100% copper wire, Special phosphor copper conductor for socket, 6ft extra long cord, flat plug for saving charging space, 2 mounting holes and 8 small skid-proof mats. 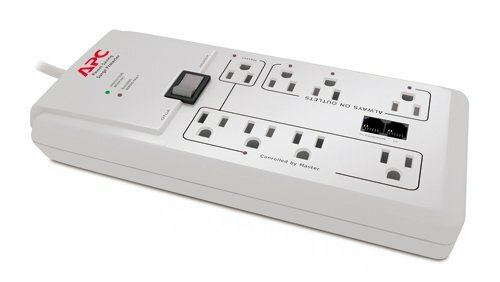 Lighted on/off powered switch with built-in 10 amp integrated circuit breaker and surge protector safeguards your electronics devices from voltage fluctuations, surges and spikes while charging.